Traveling for work during the summer comes with its ups and downs. Visiting a new city may feel like a vacation, but when you’re stuck in meetings all day you might find it difficult to secure time to fully explore what your temporary home has to offer. 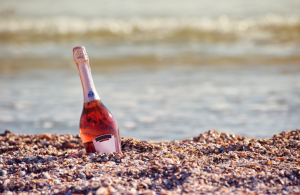 If you’re planning an extended stay in Chicago’s Gold Coast and looking for a luxurious month to month rental, Walton Residence has easy access to many summer activities to help you enjoy your trip to the fullest. 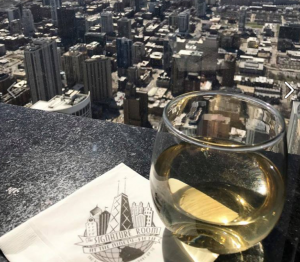 After a long day of meetings and corporate strifes, there’s no better way to unwind and get the full luxurious Chicago experience than by visiting the Signature Room in Hancock Tower. Navy Pier offers a free fireworks show on Wednesdays at 9:30pm and Saturdays at 10:15pm, just enough time to finish dinner and grab a drink in the lounge. Enjoy the display with an incredible view of the lake up on the 95th floor and make your short term stay in Chicago much more memorable. 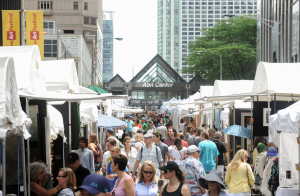 Immerse yourself in Chicago’s artistic culture with this outdoor festival that showcases amazing work from artists all over the city. Admission is free and also features, food, drinks, and live performances. Centered on Lake and Michigan Ave, the festival is a short distance from the Gold Coast area, straight south of the Magnificent Mile. If you are traveling with family this summer, this music festival offers free admission to children under 12. Close to North Avenue beach, Live in Lincoln Park presents a variety of music ranging from Roots Rock, Jam, Reggae, and Funk. VIP tickets are available for seats closer to stages, elevated viewing, and discounted drinks. 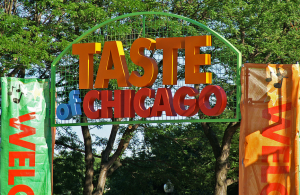 One of summer’s biggest attractions and a staple of Chicago’s culture for over 30 years. Last year the five-day festival drew in a record-setting 1.6 million people with 66 restaurants and food trucks featured. Located in Grant Park, you can enjoy a brilliant walk along the lakefront as you indulge on a wide array of exquisite foods from the city’s widely diverse culture. Perfect for spending a relaxing Sunday afternoon in the Gold Coast. Reconnect with nature on a stroll or join an architectural tour through the gardens accompanied by live music from some of Chicago’s most talented musicians. The walk also offers seminars to discuss and answer any questions you have regarding gardening. Hosted by Players Sport & Social Group, enjoy a tasting from over 25 whiskey and wine vendors while soaking up the sun at Montrose Beach. The festival includes a variety of fun activities like bean bag tosses, DJs, and food. A souvenir glass and 15 tasting tickets are provided to you upon admission. VIP tickets are available as well as discounts for groups of four or more. Grammy Award-winning songwriter Aimee Mann will perform live at the Jay Pritzker Pavilion in Millennium Park. 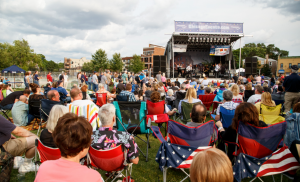 Known for its free summer concerts and incredible acoustics, the Pavilion offers a beautiful opportunity where you can enjoy outdoor performances from the comfort of your seat or sprawled leisurely out on the lawn. Located on the northwest side of Chicago in Jefferson Park, this family friendly festival provides a Kids Zone for parents seeking fun activities to do with their children. Jeff Fest features a Community Stage where anyone from local bands, Irish cloggers, and Polynesian dancers put on live performances. Also available are art vendors and wine tastings for the adult seeking to relax in a peaceful outdoor environment. 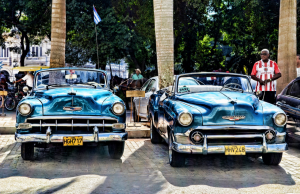 If you are a car enthusiast, then check out the Retro Antique Car Show that will showcase over 50 antique, classic, and muscle cars. 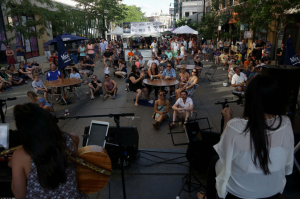 The festival also holds three performance stages, antique vendors, and summer games. All proceeds will go to maintaining and restoring Chicago’s Roscoe Village on the north side. 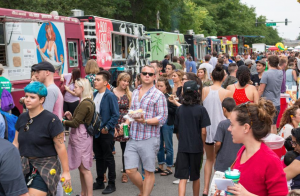 Dozens of food trucks and local vendors will gather for the first annual social in Chicago’s Near North area. Conveniently located a mile west of the Gold Coast, you can enjoy a pleasant walk from your Walton Residence rental to this tasty event. Various food and drinks will be provided, including a $20 Sampler Ticket that can be used at six different vendors. Join Seven Generations Ahead for the Midwest’s largest zero-waste craft beer festival. 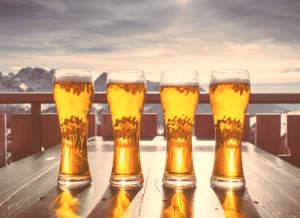 Admission includes 40 craft beer samples and a complimentary tasting glass of your own. SGA promotes environmentally conscience and sustainable communities. They will be there to ensure that everything from the event is 100% recycled and not sent to a landfill. Experience the nation’s largest free air and water show on Chicago’s lakefront. 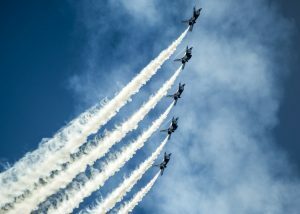 The Air Force and Navy come together to demonstrate amazing skills over Lake Michigan with everything from parachute jumps to Thunderbird formations. Make your way east of the Gold Coast and gaze in wonder at the sky and water as marvelous tricks are performed before your eyes. 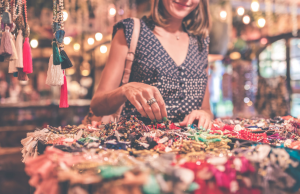 If you’re looking for classic items to compliment the modern pieces of your wardrobe, check out the Randolph Street Market Festival. Labeled “the best hotspot for antiquing” the festival brings vendors from all walks of life together to buy and sell antiques and vintage clothing. 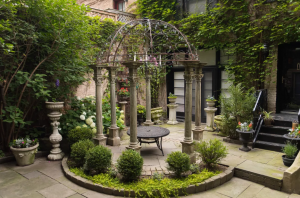 Centered in the West Loop, you’ll be sure to find unique apparels that bring a burst of classicism to your lifestyle. 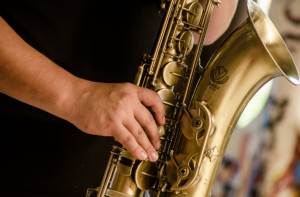 Kick off Labor Day weekend by leaving work back at the office and unwinding at the Chicago Jazz Festival. Hosted since 1979, artists from all around the world join in Millennium Park to share and educate others in their love of jazz. This year’s performances include a myriad of stellar acts such as Dianne Reeves, Ramsey Lewis, and Maceo Parker.